After being caught in development hell a landslide and finally escaping into reality, the long-awaited biopic of the British rock band Queen, Bohemian Rhapsody, has arrived in theaters. The film is a British-American joint venture with production companies such as 20th Century Fox (also distributor), GK Films, New Regency, Queen Films and it is directed by the controversial Bryan Singer. Executive producers include the original director Graham King and the band’s longtime manager, Jim “Miami” Beach, with a screenplay written by Anthony McCarten. The film stars Rami Malek, Lucy Boynton, Gwilym Lee, Ben Hardy, Joe Mazzello and focuses on the band’s lineup of guitarist Brian May (Lee), drummer Roger Taylor (Hardy), bassist John Deacon (Mazzello) and the main focal point lead vocalist Freddie Mercury (Malek). Full Disclosure: Going into the film the only knowledge I had of Queen was that Freddie Mercury died from AIDS, “We Are the Champions,” “We Will Rock You,” and that they were British, which isn’t much knowledge at all. I didn’t even know that Vanilla Ice did not but did sampled “Under Pressure” for “Ice Ice Baby,” so leaving the film was an informative experience for me. Lastly, as someone who didn’t know much about Queen going into the film, this review won’t hold historical inaccuracies against it. As a still image they look accurate, but early on in the film it looked like Malek had a hard time talking with the prosthetic used and he was fighting them from falling out. As the film progresses, he becomes more comfortable with them and they adequately settle in place. The casting choices were precise throughout the film, from the love of Mercury’s life Mary Austin (Boynton) to the rest of the band, no one looked out of place. Malek does a phenomenal job as Mercury and should be an Oscar contender for lead actor in February. He doesn’t disappoint when bringing the flamboyance of Freddie to the big screen. Mercury’s personality screams rock star in four octaves, and Malek brings the charisma of the late rock star during his performance. 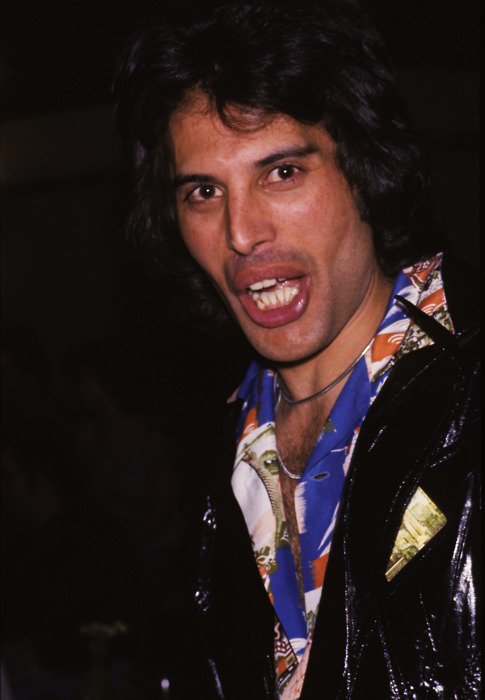 When Mercury goes solo, Malek’s performance brings out the sense of lostness that Freddie was going through. There are moments where aspects of the story are conveniently placed and come across as Hollywood cliche, specifically at the beginning of the film and the lead up to the Live Aid performance during the last act, so finding out they weren’t historically accurate wasn’t too surprising. Clocking in at 2 hours and 13 minutes the movie moves at a smooth pace and it never feels like a slog to sit through. What Bohemian Rhapsody gets right is that it knows its subject, and it makes you care about the main characters, which makes for a more enjoyable theatrical experience compared to other biographical films that bite the dust. Bohemian Rhapsody was released in theaters November 2, 2018.